I’ve been writing this post for about three years now. I’m happy to let it out of its coop, finally. There are dog people and there are cat people, but I - we - are bird people. Birds have been part of my life for as long as I can remember. I was raised with a series of budgies and finches, flirted for a few years with a pair of very naughty lovebirds and enjoyed a very deep 25 year-long bond with Pookie, my cockatiel buddy. When we lost him a few years ago I was at a loss in more ways than one. There was suddenly a gaping, bird-shaped hole in my life. I allowed myself the time to grieve and left the question unanswered: could I live happily without sharing my life with a bird? After months of gawping at wild birds (which I normally would’ve done anyway), considering their birdie shapes and their sheer, wonderful…birdiness I decided I couldn’t. It hit me hard one day - in the shower I just started sobbing. I needed feathers in my life. I needed claws and scratches and birdie kisses and fluff wafting around the house. Moreover, I need a buddy. I decided then and there that no matter the cost (well, I did have a budget of $2000), no matter the inconvenience and the mess, I was going to adopt a parrot. A few months later (though it felt like forever at the time), I was stood in front of a shallow tray holding a clutch of four nearly fully-fledged African Grey parrot chicks. “Okay,” I said, “who wants to come live with us? There’s going to be lots of books and knitting and tea.” Perhaps this was a bit twee of me, but you’ve gotta let a guy know what he’s getting into, right? No sooner were the words out of my mouth than one of the chicks looked up and made a somewhat shaky beeline (birdline?) directly towards me, his black eyes shining. He had made his choice. And that was the first time I met Earl. Three years on, life with Earl is many things, but one thing it isn’t is boring. He continues to hold me to my “books and knitting and tea” pledge every single day by diligently inspecting and/or getting involved with all of the above. Just yesterday he took the time to ensure that my knitting was up to his high standards. Perhaps you’ve been keeping up with his (mis-)adventures on my Twitter, and if not, please feel free to start. Earl actually has his own Twitter, so if you like you can follow him as well. He is, after all, a professional tweeter. Regardless, you can expect more Earl content to turn up here in the future. September 9, 2016 at 11:39 a.m.
September 9, 2016 at 11:42 a.m.
More Earl news & photos please! He's a handsome rascal! September 9, 2016 at 12:52 p.m. Thanks! I have lots of crazy birdie stories..
September 9, 2016 at 1:05 p.m.
Love Earl...since cats have claimed me in my dotage, no birdies for me, except on the feeders which I position near windows for the (indoor-only) cats' enjoyment. My parents had parakeets, when we were able (military brat, lived overseas a lot) and I loved them dearly. We had one named Charlie Brown, in the early 60s, who said "Good grief Charlie Brown! Birds can't talk!" I wrote to Charles Schulz, who was gaining popularity with his Peanuts strip at the time, and we corresponded a bit, and shortly thereafter, Woodstock joined his comic strip family. September 9, 2016 at 1:58 p.m.
Shop the latest Fingerless Glove Fashions in our Huge Inventory. Fast, Free Shipping & Easy Returns.We are all about Fingerless Gloves. We love them. We make them. We sell them. September 28, 2016 at 8:52 a.m. 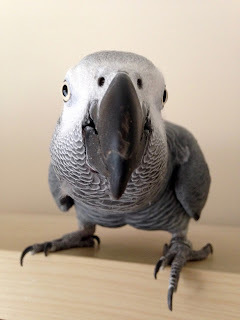 I'm the proud owner of an African Grey too!! His name is Noah and he is a constant amazement. Just wait till Earl is a little older-you'll be totally amazed at what he picks up. In context too. Congrats on your baby boy! October 14, 2016 at 1:46 p.m. I was just about to embark on your gnome mittens but decided to take a dive into your blog first. 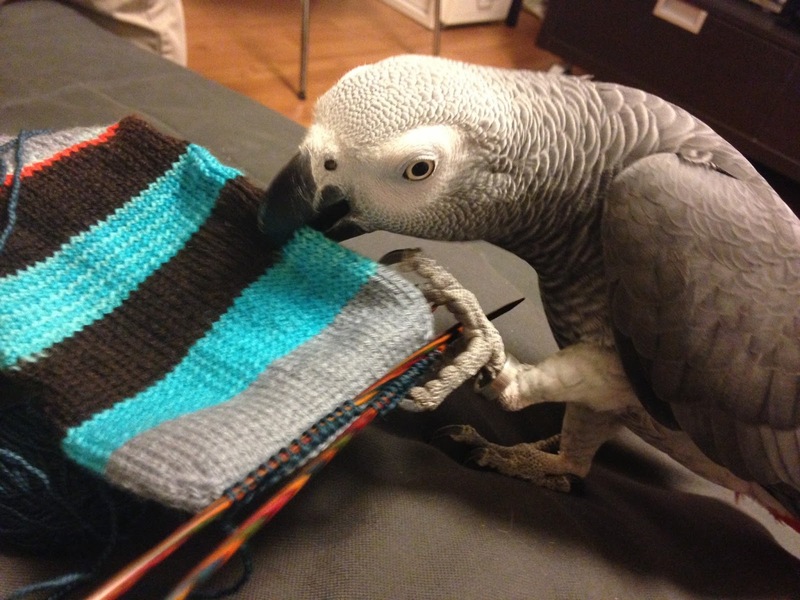 I couldn't believe you had posted about an African Grey. I lost an Amazon after twenty three years to an unknown illness and had pretty much decided to live big bird free for a while. After two years I walked into our local (wonderful) bird store and the owner said, " Oh I was just thinking of of you!" The rest is history. She had received a surrendered African Grey whose owner was about to be evicted if the bird didn't leave. He was a talkative, empathetic, active three year old, Paris. We have had him or over a year now and I cannot imagine life without him. Happily he loves my husband as well as me. Now I can begin your socks! Who knew you were a like minded person. April 11, 2017 at 4:51 p.m. I'm personally a big fan of spillyjane blog. Thanks for sharing this post. October 24, 2018 at 3:26 a.m.
November 26, 2018 at 4:41 p.m.
January 2, 2019 at 1:55 a.m.
March 5, 2019 at 1:25 a.m.
March 5, 2019 at 4:33 a.m.
March 6, 2019 at 5:30 a.m.
March 24, 2019 at 5:29 a.m. Thanks for sharing this blog it's very informative. March 29, 2019 at 1:42 a.m.
April 10, 2019 at 8:25 a.m.